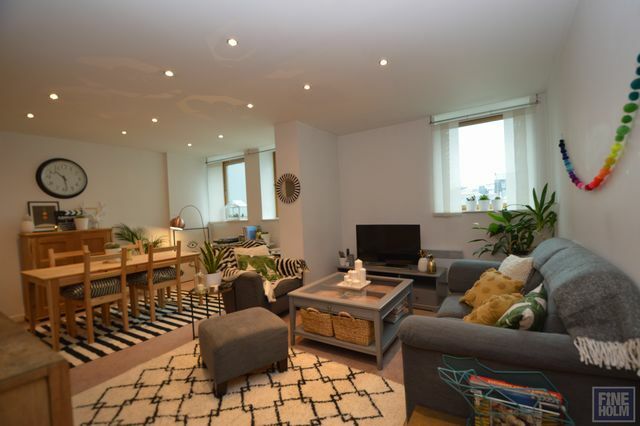 New to the rental market this fresh and stylish 2 bedroom modern apartment is located in Glasgow city center in an upmarket and secure building with concierge service. A private car parking space can be available for additional £100 per month. The flat is located on the second floor (lift access) and has entrance hallway with storage cupboard, bright open plan living space with dining area and kitchen area in recessed area. The living area has a contemporary feel with great furnishings throughout. There are 2 bedrooms- master with ensuite bathrom - and a shower room. Electric heating. Secure entry. Concierge Service. The Pinnacle is a residential building located on Bothwell St- close to the financial district- but also close to the buzzing West End and Finneston. The building is very well maintainned and secure and offers visitors to Glasgow a great spot to get to know Glasgow.